Grew up with Kos Mostar (Bosnia-Herzegovina) juniors. Moved to Croatia for the 2014-15 season, signed by Cedevita Zagreb juniors. Made his debut with Cedevita Zagreb during the 2015-16 season. Named 2017-18 EuroCup Rising Star. Won the 2015-16, 2016-17 and 2017-18 Croatian National Championship with Cedevita Zagreb. Won the 2016, 2017 and 2018 Croatian National Cup with Cedevita Zagreb. Won the 2017 Adriatic League Super Cup with Cedevita Zagreb. .member of the Bosnia-Herzegovina National Team. Has been member of the Bosnia-Herzegovina U-16, U-17 and U-18 National Team. Won the gold medal at the 2015 European U-16 Championship. Played at the 2016 World U-17 Championship. Led the 2016 World U-17 Championship in scoring (34.0 ppg.). Led the 2016 European U-18 Championship in scoring (20.2 ppg.). 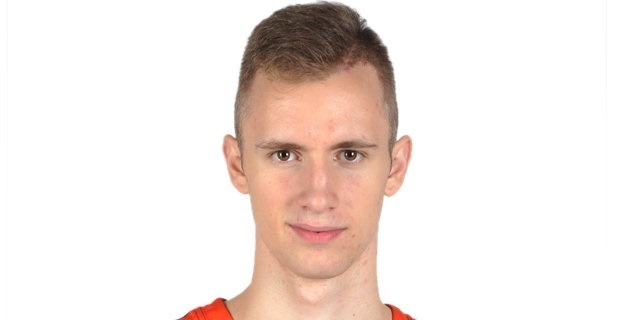 Led the 2015 European U-16 Championship in scoring (23.3 ppg.) and assists (6.3 apg.). Led the 2014 European U-16 Championship in scoring (23.0 ppg. ).